OnSide Aspiring Leaders graduate with flying colours! January 2019 saw the graduation of our Talent Academy, Aspiring Leaders 2018 cohort. We welcomed members of our most recent programme to join OnSide Chairman John Roberts, CEO Kathryn Morley and board members Karen Griffiths and John Marsh, to enjoy a morning of reflection on their personal and professional development over the 12-month programme. The Aspiring Leaders course was created in 2017 to recognise and develop outstanding performers from across the network who have the leadership potential, aspiration and engagement to rise through the organisation. The 2018 cohort included employees from across the OnSide network including Croydon Youth Zone, Blackburn Youth Zone, Wirral Youth Zone, Warrington Youth Club, Oldham Youth Zone, Chorley Youth Zone and Barnet Youth Zone. The Aspiring Leaders programme covered modules such as Managing Self; Managing Others; Finance & Major Donor Fundraising and Managing Change. OnSide Chairman, John Roberts, was present to offer his congratulations and gave a rousing speech, praising both the programme and the graduates on their successes. 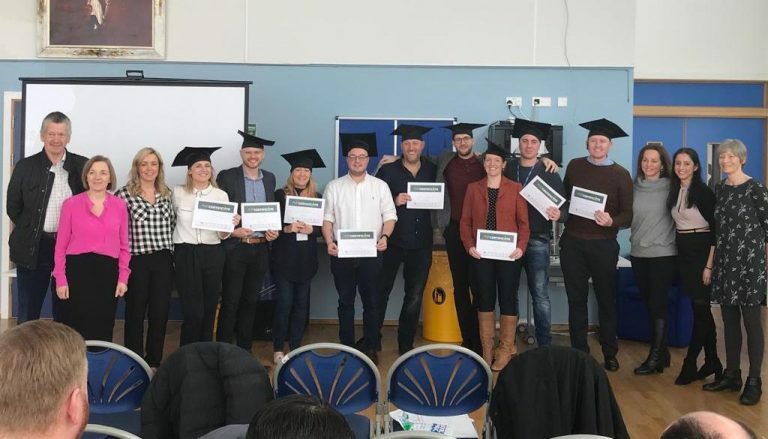 Members of the Aspiring Leaders programme 2019 were also invited to the graduation to listen to the experiences of past members and they came away feeling truly inspired and raring to go for their first formal coaching session which kicks off on the 28th January. OnSide CEO, Kathryn Morley, congratulates 2018 Aspiring Leaders graduates! Watch Jo Wilkinson from Warrington Youth Club talk about how the Talent Academy has positively impacted her personally and professionally!